It's holiday-window time! Don't roll your eyes. True, lots of department stores will go the predictable Santa Claus, fake snow, mistletoe, Christmas tree route, prompting tourists to block sidewalks to gawk as if these items were treasures unique to Manhattan. But not Barneys. They've traded holly wreaths for Afro wreaths to spread holiday cheer, hippie-style. 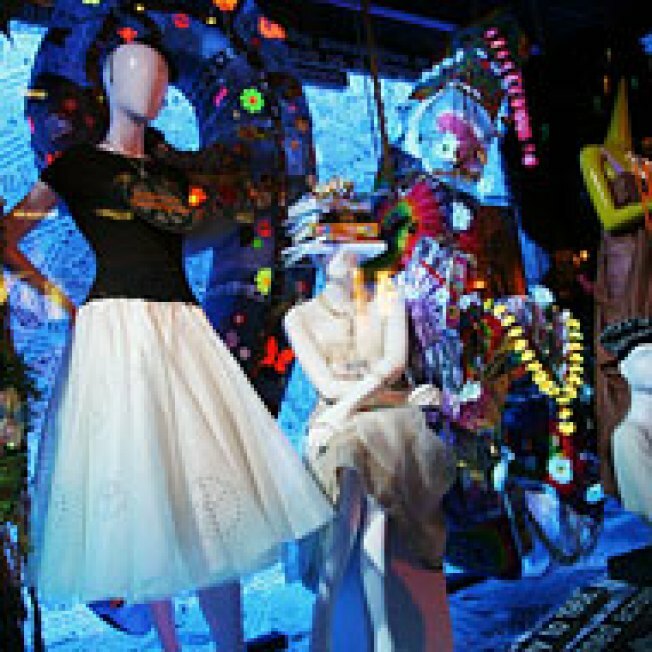 Simon Doonan was inspired to do a sixties holiday-window theme this year after reading Tom Brokaw's book about the decade, Boom! Voices of the Sixties: Personal Reflections on the '60s and Today. The windows also pay homage to the peace sign's 50th anniversary, and showcase peace sign–inspired outfits by designers like Derek Lam, Proenza Schouler, Diane Von Furstenberg, Stella McCartney, and more. Brokaw lent his star power to the momentous window ribbon-cutting ceremony yesterday. See that and the new windows in the slideshow.